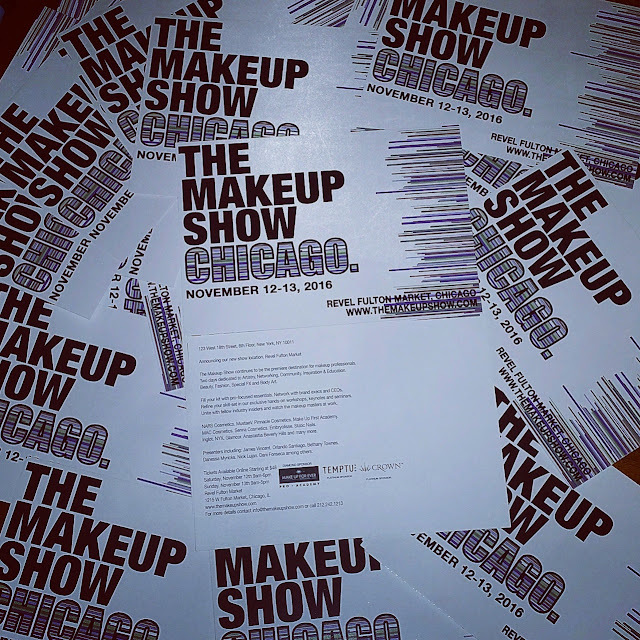 If you follow me on social media you have seen my posts about The Makeup Chicago in Chicago. The show is this Saturday and Sunday November 12th and 13th, just a couple of days away. 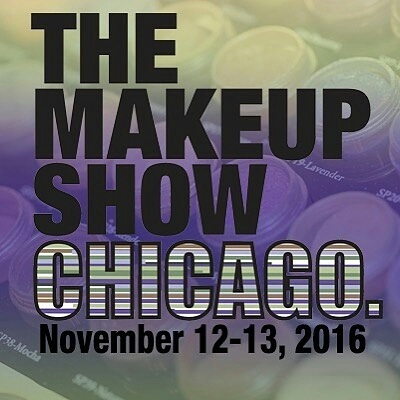 I love the show because there is a lot of education to take advantage of, the show has workshops, seminars, and keynote speakers. There are also a wide range of beauty brands that come and have some of their best products for sale. Last but definitely not least is the amount of networking that you can take part in, artists from surrounding cities and states come in to take part of this amazing show. They are also having the show in a bigger space this year, Revel Fulton Market, which adds to the excitement. Here are the Keynote Speakers for the weekend: (included with ticket purchase). These speeches and demonstrations are presented by the best and most influential artists in the industry today and from the past. These keynote sessions allow artists and industry insiders at all levels of the industry to watch, listen and learn. Here are some of the Main Floor Seminars (included with ticket purchase) where you will learn all the seasons new trends and techniques. These seminars are presented by some of the sponsors and exhibitors, along with some of the biggest artists in the business. These are first-come first-served so make sure you get your seats early, take a look at the rest here. There are also Focus Series classes available. These are an extra $20 each and focus on career building and your makeup kits. Those were four that interested me but check out the rest here. For those of you that are looking for more hands on experience the show also has Workshops, these are a bit longer and begin Friday the day before the show. These are also limited to 20 Attendees, and unfortunately some are already SOLD OUT. You definitely have to take advantage of these as these are given by some of the best of the industry. Hurry and book them today before they sell out !!! Last but not least the shopping and networking that takes place at the show. Brands from all over come to showcase their products and offer all artists in attendance PRO discounts. You get a chance to not only test the products but also ask any questions you may have. You also get to meet amazing artists while your at the show, a show where you find like minded artists and get to learn tips and tricks from them as well as you all shop for your kits. I cannot stress enough that this is definitely one show you don't want to miss. Online Presale ends this Thursday !!!!!!!!!!!!!! Students, union workers and group rates are available, find out more here. If you see me don't be shy stop me and say hi.